When a homeowner has a property claim to file (water damage, fire damage), it’s not uncommon for the homeowner to not know who they want to hire as a restoration contractor to repair their home. It is also typically the first time the homeowner has filed a property claim. So the homeowner typically doesn’t even know who does restoration work because they have never had to hire a restoration contractor. This is when the insurance company plays a big role in deciding who does the restoration work on your home. Many insurance companies, not all, will have a preferred vendor list where they will have 2-4 of the largest national franchise restoration contractors in order to serve all of the insurance companies’ policy holders across the U.S. The problem is, the homeowner has every right to choose which ever restoration contractor they would like. However, the homeowner is pushed in the direction of the national franchise contractor instead of a local restoration company. The insurance company uses a tactic such as telling the homeowner that a preferred vendor must be used in order for the insurance company to pay and cover the claim. This scares most homeowners, so they decide to use the national vendor the insurance company recommends. It’s not because the insurance company gets price breaks, or the work is done quicker, but typically because the national contractor can cover all the “dots on the map” for the insurance company and because they are typically willing to adhere to the scope of work that the insurance company wants. Meaning, the insurance company wants to dry the carpet in place instead of tearing it out and replacing with new when it should be torn out. If you’re the homeowner and you want a contractor who has a lot of certifications, experience, local, family owned and to challenge the insurance company on scope of work, you have that choice. That could be someone on the insurance company’s list; it could be a national franchise contractor or it could be a local restoration contractor. What we know is that you as the homeowner, who pays the insurance policy premium, have the right to choose any restoration contractor you would like. Do your research, read reviews and get referrals from friends and family. 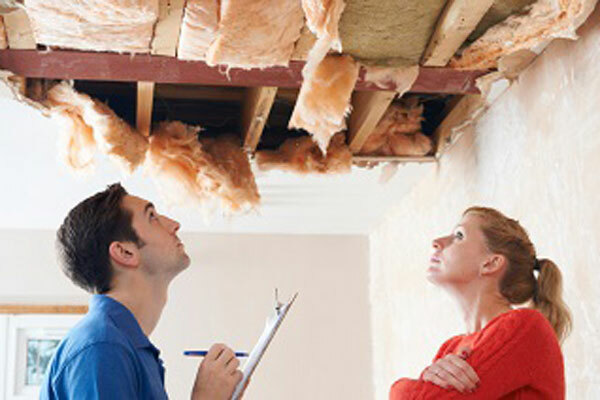 Getting your home repaired is not only important to the structure of the building, but also the health of your family. In the end, the insurance company may still drop you for filing a claim. Make sure your home is repaired by the contractor of your choice.